475 Basiliscus became Byzantine Emperor, with a coronation ceremony in the Hebdomon palace in Constantinople. 1528 – Gustav I of Sweden crowned king. 1539 – Treaty of Toledo signed by King Francis I of France and Holy Roman Emperor Charles V.
1729 Edmund Burke, Irish statesman, was born (d. 1797). 1777 Mission Santa Clara de Asís was founded in what is now Santa Clara, California. 1848 The Palermo rising in Sicily against the Bourbon kingdom of the Two Sicilies. 1863 – Swami Vivekananda, Indian philosopher, was born (d. 1902). 1866 The Royal Aeronautical Society was formed in London. 1872 Yohannes IV was crowned Emperor of Ethiopia in Axum, the first imperial coronation in that city in over 200 years. 1876 Jack London, American author, was born (d. 1916). 1893 Hermann Göring, German Nazi official, was born. 1895 The National Trust was founded in the United Kingdom. 1906 Sir Henry Campbell-Bannerman‘s cabinet (which included amongst its members H. H. Asquith, David Lloyd George, and Winston Churchill) embarked on sweeping social reforms after a Liberal landslide in the British general election. 1908 A long-distance radio message was sent from the Eiffel Tower for the first time. 1911 The University of the Philippines College of Law was formally established; three future Philippine presidents were among the first enrollees. 1915 The Rocky Mountain National Park was formed by an act of U.S. Congress. 1915 The United States House of Representatives rejected a proposal to give women the right to vote. 1916 Pieter Willem Botha, South African politician, was born (d. 2006). 1917 Maharishi Mahesh Yogi, Indian spiritualist, was born (d. 2008). 1918 Finland’s “Mosaic Confessors” law went into effect, making Finnish Jews full citizens. 1932 Des O’Connor, British television presenter, was born. 1941 Long John Baldry, British blues singer, was born (d. 2005). 1945 Maggie Bell, Scottish singer (Stone the Crows), was born. 1946 Cynthia Robinson, American musician (Sly & the Family Stone), was born. 1951 Kirstie Alley, American actress, was born. 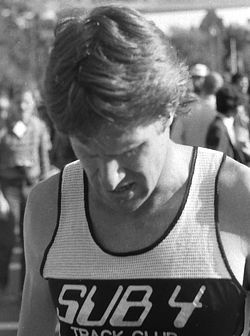 1952 John Walker, New Zealand middle distance runner, was born. 1964 Rebels in Zanzibar began the Zanzibar Revolution and proclaimed a republic. 1967 Dr. James Bedford became the first person to be cryonically preserved with intent of future resuscitation. 1970 Biafra capitulated, ending the Nigerian civil war. 1974 Melanie Chisholm, British singer (Spice Girls), was born. 1976 The UN Security Council voted 11-1 to allow the Palestine Liberation Organisation to participate in a Security Council debate (without voting rights). 1991 Gulf War: An act of the U.S. Congress authorised the use of military force to drive Iraq out of Kuwait. 1992 A new constitution, providing for freedom to form political parties, was approved by a referendum in Mali. 1998 Nineteen European nations agree to forbid human cloning. 2004 The world’s largest ocean liner, RMS Queen Mary 2, made its maiden voyage. 2005 Deep Impact launched from Cape Canaveral on a Delta 2 rocket. 2006 The foreign ministers of the United Kingdom, France, and Germany declared that negotiations with Iran over its nuclear program have reached a dead end and recommend that Iran be referred to the United Nations Security Council. 2006 A stampede during the Stoning the Devil ritual on the last day at the Hajj in Mina, Saudi Arabia, killed at least 362 Muslim pilgrims. 2007 Comet McNaught reached perihelion becoming the brightest comet in more than 40 years. 2010 – The 2010 Haiti earthquake killed at least 230,000 and destroyed the majority of the capital Port-au-Prince. 2012 – Violent protests in Bucharest, Romania, as two-day-old demonstrations continued against President Traian Băsescu’s economic austerity measures. Clashes were reported in numerous Romanian cities between protesters and law enforcement officers. 2015 – Government raids killed 143 Boko Haram fighters in Kolofata, Cameroon. 2016 – Ten people were killed and 15 wounded in a bombing near the Blue Mosque in Istanbul. 2012 – Violent protests occurred in Bucharest, Romania, as two-day-old demonstrations continue against President Traian Băsescu’s economic austerity measures. 2015 – Cameroon killed 143 Boko Haram fighters in clashes. 2015 – A serviceman stationed at the Russian 102nd Military Base, killed seven people in Gyumri, Armenia. 475 Basiliscus becomes Byzantine Emperor, with a coronation ceremony in the Hebdomon palace in Constantinople. 1863, Swami Vivekananda, Indian philosopher, was born (d. 1902). 1876 Jack London, American author, was born.